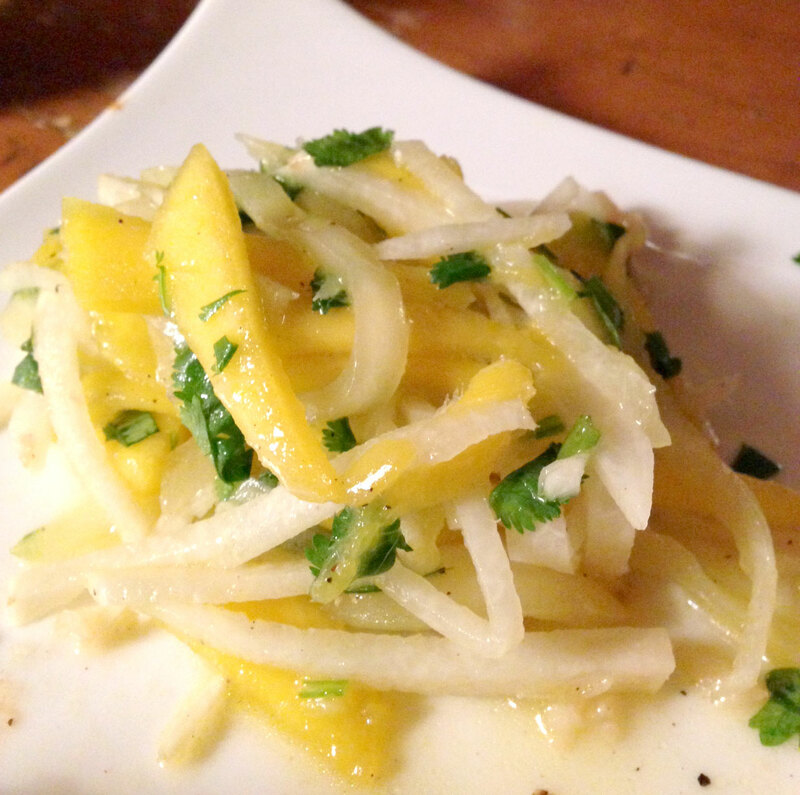 I fell in love with jicama in Mexico and have since looked for every opportunity to integrate it into a meal. Last night, we had baby back ribs for dinner and the refreshing, clean flavour of jicama was the perfect complement to the saucy, smokey flavour of the ribs. 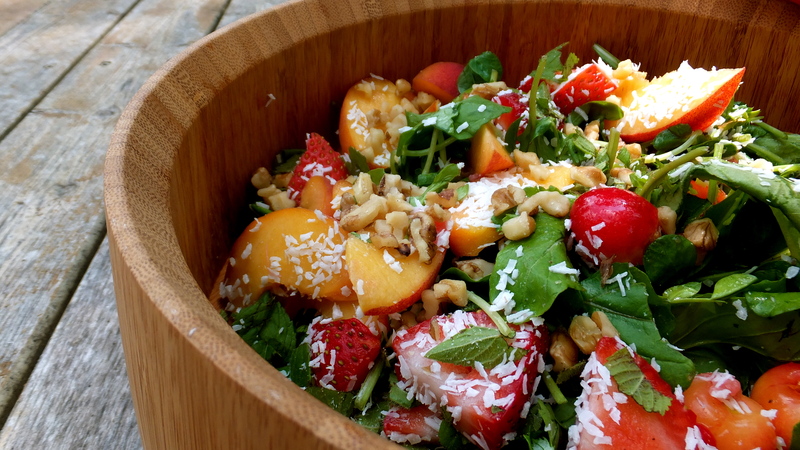 And that’s it, the salad is ready to serve! This tomato salad is probably one of my favorite go-to salads to make. It’s quick, simple, easy, and lets the fresh ingredients speak for themselves. Coarsely chop your tomatoes into eighths, or slice them. Whether your chop or slice your tomatoes is up to you. Either way, they should be relatively chunky with the seeds intact. Chop up your cilantro and slice the mozzarella. If you substitute with basil, a trick I use is to arrange the leaves into a fan pattern, one on top of the next first, roll up the leaves and them chop across the roll. You will get the even strips of basil this way. Throw your ingredients together in a bowl, drizzle with olive oil and balsamic vinegar, add the salt and pepper to taste, and give it a good toss so everything is evenly mixed together. You’re done! Ready to serve. In less than 15 minutes. 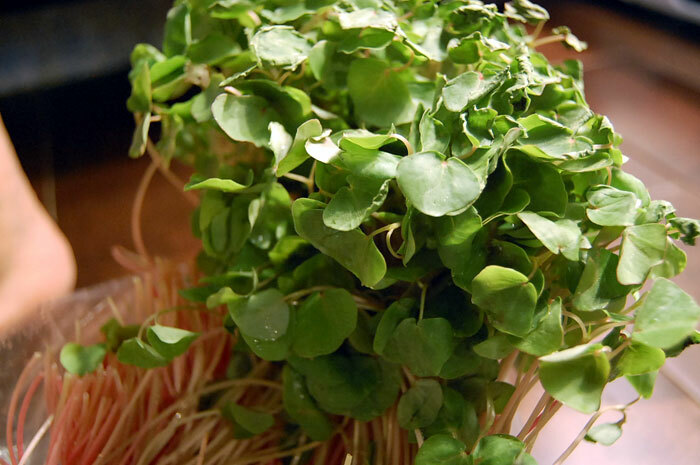 Ah, sprouted buckwheat, the Hercules of healthy green food – perhaps rivaled only by kale. The great part about sprouted buckwheat is that it is one of the most complete sources of protein you can find (containing all eight amino acids), which is particularly fantastic for our vegetarian and vegan friends, but also for meat-eaters too. It’s also gluten-free and jam packed with enzymes and important nutrients. So imagine how thrilled I was to found a beautiful fresh stash of sprouted buckwheat as part of our foodshare bag recently. It felt like a waste to blend it down into a protein shake, which is what it’s often used in, so I decided to integrate it into a fresh spring salad. 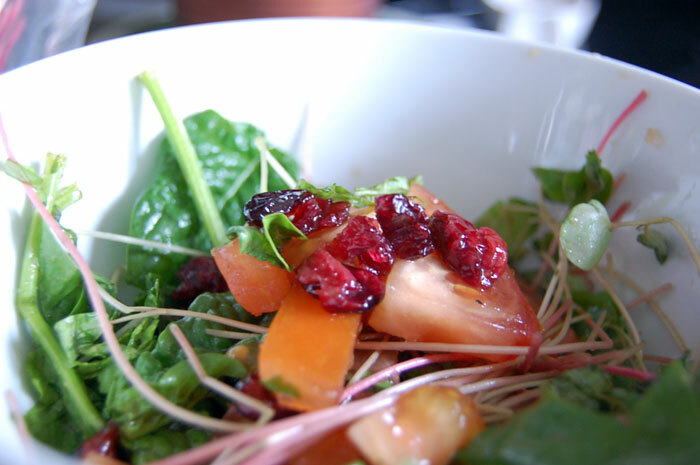 Sprouted buckwheat tastes a lot like a grain food, while not being a grain, so the flavour is rather neutral. This makes it a great complement for just about anything. I went with spinach – another green superfood. My recipe below makes enough for two people, so if you have a larger family, you may want to increase the portions. It’s a glorious, sunny spring day and I came home feeling inspired to have something as spring fresh as it was outside. 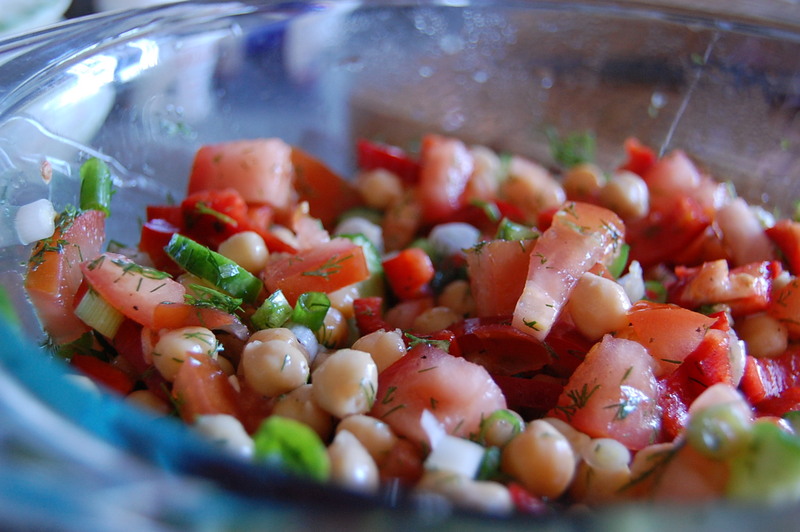 I ended up settling on making a tomato dill chickpea salad.